DJ Advicer, who is known in real life as Isaac De-Graft Danquah, beat the likes of Jerry Justice, Kwame B and DJ Phletch among others to emerge winner in the Best Music Promoter of the Year category. The Rush Ghana DJ Awards, which took place over the weekend at the Silver Star Tower is an annual event which seeks to reward DJs who have remarkably entertained people and played a major role in music promotion in the year under review. This is the second time the award winning DJ Advicer has won Best Music Promoter of the Year after winning the same award in the 3rd edition of the event. He has previously won numerous awards including Highlife DJ and Music DJ of the Year at the Ghana DJ Awards. 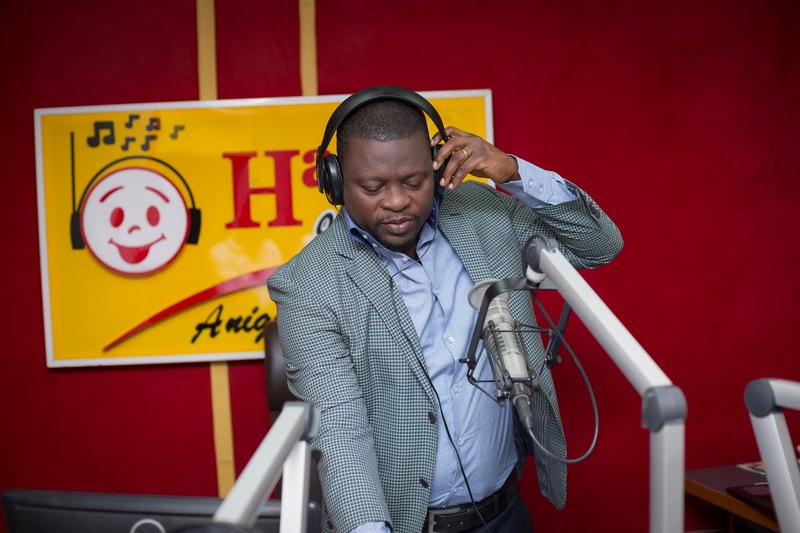 According to Kwesi Sarpong, Programs Manager at Happy FM, DJ Advicer’s hard work throughout the years is yielding results with the various awards he has been winning. “Happy FM is a brand that pushes its staff to be the best in whatever they do. This is just the beginning of great things to come. We encourage DJ Advicer and other staff to continue with the hardwork,” Mr Sarpong stated. DJ Advicer is the host of Happy FM’s ‘Ayekoo’ Drive, a show which runs every weekday from 2-4 pm. The show has undoubtedly endeared itself to listeners with ingenious tracks selection and making hits out of songs, which hitherto weren’t heavily patronized by music lovers.